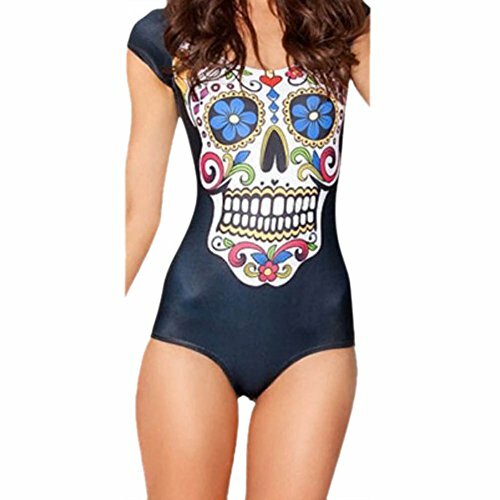 With Summer fast approaching and temperatures already rising in some regions, now is the time to shop for that gorgeous geeky swimsuit to show off your summer tan and wow people at the pool or beach. I’ve stayed mainly with the one piece swimsuits today – mainly because they have more print area for the designs but there are a few geeky bikinis out there. The inspiration for this post came from the R2-D2 gifts post I did recently, including this cute R2-D2 print swimsuit. 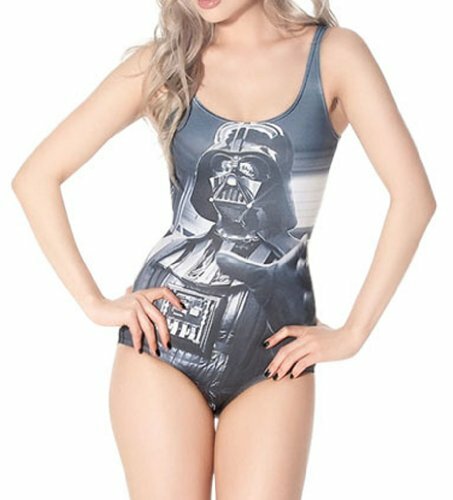 The Darth Vader print swimsuit is really cool and I like the Tree of Gondor design from The Lord of the Rings too. My favorite is the anime girl design swimsuit though. I love the color and the overall design. 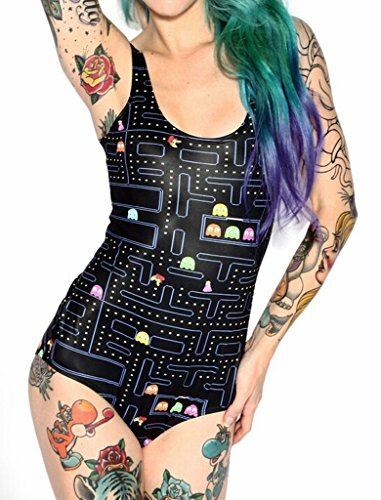 If you feel like rocking out some retro gaming this summer, this Pacman print swimsuit might suit you perfectly. It’s not only colorful, it’s true to the characters in the old Pacman game too. You might prefer the simplicity of the Mass Effect design though. 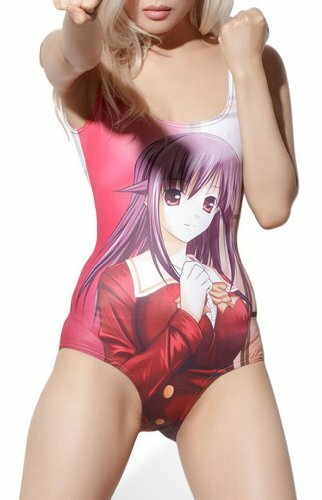 Sadly, I couldn’t find any other gaming related swimsuits. If skulls and zombies are more to your taste, this decorated sugar skull design is perfect. 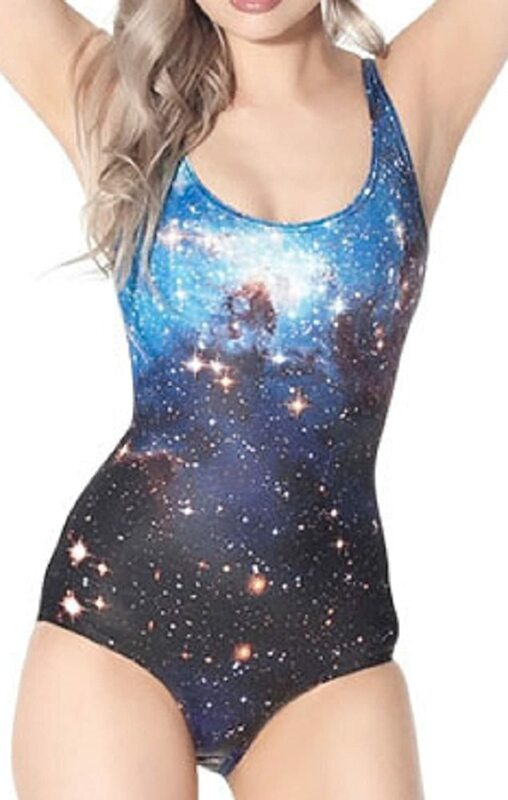 There’s a whole range of galaxy print swimsuits available – this one is mainly in blue tones but some of the other galaxies are more pink/purple combinations or even greens and blues. As you might expect, there are loads of superhero themed swimsuits available so I just chose a few to show you today. There are several different styles available in the Wonderwoman, Superman and Batman designs but I wanted to keep this site safe for work so I chose the more sedate versions today! I hope you’ve enjoyed this look at gorgeous geeky swimsuits for women and maybe even found a design you like. Check out our other swimwear posts for even more ideas for ladies and some for guys and boys too!